As an organisation, we are already committed to reducing any negative impact of our operations on the environment, in many small ways, as well as be a role model for responsible and sustainable environmental behaviour. But we didn’t want to stop there, we decided to take this further by doing all that we can for our local communities and those further afield who live in the most challenging of conditions. Quadracon is a member of the Business for Good international community. Through The B1G1 initiative (buy one, give one) we’ve embedded giving into our business activities so we can make a meaningful difference on a global scale. Every dollar we contribute to B1G1 goes directly to carefully vetted projects on a local and global scale. B1G1 have adopted the 17 Sustainable Development Goals (SDGs), as defined by the United Nations member states in 2015, in order to increase the scope of their impacts. We like to support our local community in a broad range of initiatives, so we are proud to announce that we are the Platinum Sponsors for the Frankston Dolphins SNFL Team, an independent local team, who the staff at our Victorian Office are particularly thrilled to be supporting. We are very excited to watch the teams progress this year; cue internal footy tipping competition. C’mon the Dolphins! 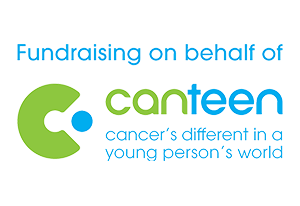 We are proud to support Canteen as an initiative very close to our hearts here at Quadracon. They’re the people who support 12-25 year-olds with cancer in their worlds, whether it’s their own diagnosis, a close family member’s cancer or the death of a loved one. They offer support when cancer turns their world upside down and helps them cope with the physical, emotional and practical impact of living with cancer. They believe that no young person should have to face cancer alone, and we wholeheartedly agree! When we discovered this great new company, who are trying to make a difference through the most basic of essential items, Toilet Paper, we just had to get on board and swap over all our office paper goods. Not least because, let’s face it, they’re brilliantly funny! But in all seriousness, they don’t use any virgin trees, are ethically and sustainably sound and striving to improve sanitary conditions for some of the poorest and most impoverished areas of the world. Who wouldn’t want to support such a great initiative! As a company we like to make sure we are doing our bit for the environment wherever possible, every little bit helps, right? Ecobin has enabled us to separate our waste more successfully, whilst giving us the comfort that we’ve chosen bins which have a much lower carbon footprint than your average bin. Due to their manufacturing methodology these bins use 50% less electricity and water. They are also delivered flat packed, ensuring reduced transport emissions. Overall a company that aims to lower greenhouse gas emissions wherever they can!